International organisations working in the field of child protection are largely satisfied by Tunisia’s judicial and institutional infrastructure. However, such progress must be maintained and reinforced. 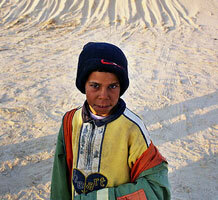 The level of poverty in Tunisia is at more than 24%. The gross national income (GNI) per person is only 3,720 dollars compared with 43,990 dollars in France. Poverty mainly affects the western regions of the country. Unfortunately, the children’s situations are heavily influenced by the economic condition of the country. 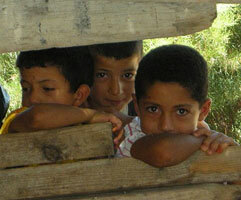 Despite the significant progress made in Tunisia concerning children’s health, it remains a problem. The infant mortality rate of children younger than 5 years old is 21%, something that needs to be improved. When faced with the institutional and revolutionary crisis that affected Tunisia in 2011, many fled, primarily to Italy and France in search of the “European Ideal”. However, they did not always receive a warm welcome. They had to endure appalling living conditions before. In a majority of cases, they were sent back to their country of origin. Many children had to live through this emigration. They too experienced terrible living conditions which were unsuitable and ill-adapted to their needs. Tunisia receives a large number of refugees in the east of the country. Such refugees rely heavily on humanitarian aid. Transition camps such as Ras Jdir have been constructed in Tunisia by UNICEF in order to house victims of the conflict in Libya. However, whilst in these camps, families, and notably children still face violence. Schools and other areas dedicated to children have been destroyed and looted, exposing local residents to further violence. Many children find themselves alone, separated from their family after fleeing Libya. Serious safety problems affect transition camps, where unfortunately child safety and protection is not sufficiently ensured. With physical violence deeply entrenched as a means of punishment in Tunisian society, despite the recent ban through legislation, it is still quite common. Deeply-rooted mentalities are proving difficult to change. Physical violence, although now an exception, is still present in both the home and the school environment and remains a problem in Tunisia. While Tunisian legislation guarantees the freedom of expression for all, in practice this is very restricted: the media is highly controlled and defenders of human rights are often imprisoned. These restrictions violate Article 13 of the Convention on the Rights of the Child in preventing children from exercising their right to information and to free expression. Tunisians demanded the freedom of expression in the recent revolution against their government and it is hoped that the current situation will improve.